Did your boss just hand you a 5,000 piece mailing and tell you to write the company address on each and every envelope? Stop! There’s an easier way! Take advantage of our self-inking stamps. Looking for a neat way to show your creative side without emptying your wallet on posters and advertisements? Check out our custom rubber stamps – able to come in a variety of colours that can be put on anything! 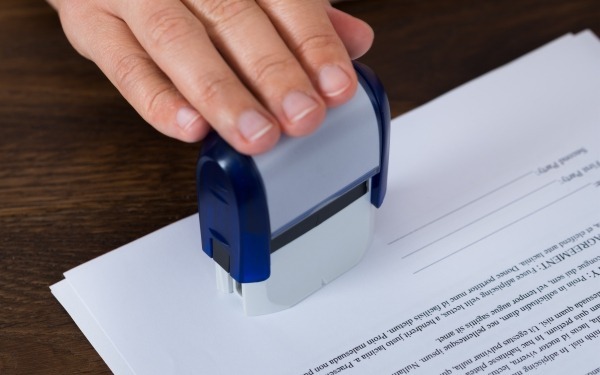 Envelopes, flyers, we can even put your very own signature on a stamp – you can sign everything without the risk of arthritis! Rubber stamps are a fabulous way of placing text or an image on just about anything – and you don’t have to replace it for years to boot!